Nothing eats away at your weekend joy like having to lug rubbish to the tip. An easy way to get out of that situation is to hire our house clearance Putney team. All you have to do is give us a call and tell us what needs to be done, and we will take care of the rest. From disassembling furniture to getting the appropriate licenses and transporting the rubbish to the tip, our team will stay on top of things. We provide both one-off and regular domestic clearance services in SW15. So hire us and try our services out. A good way to free up some floor space in a cramped working area is to get rid of the old and dysfunctional stuff. However, if disposing them is beyond your company’s capacity, you might want to look into one of the leading Putney commercial waste disposal teams – us. We work with a number of clients in the SW15 and SW18 areas and have experience in disposing all kinds of office waste. So no matter how big or small the job you have for us, we can take care of everything. Just call us the next time you need help with office waste clearance. If you are dreading the hassle of hiring a truck and driving to the tip, don’t. This is what we are here for! Hire our excellent SW15 waste collection team and you won’t have to worry about your waste. We handle both commercial and domestic waste removal jobs, disposing the junk as per all regulations and with all environmental concerns in consideration. We have a number of clients in SW18 and all of them are so happy with our services that they would gladly recommend us. Trust their judgment and give us a ring today! There are easier ways to get rid of your waste than doing it yourself. This is what our team of professional house clearance experts do on a regular basis in Putney and are good at! So let them take care of your waste while you can spend your time and energy in doing something else. With our crew on your property, you can rest assured that everything will be taken care of. They are very careful and ethical. So the next time you are in need of a waste removal solution in SW15 or SW18, think of us. Getting the beautiful SW18 garden you have always wanted is now one less hassle. Our garden junk collection team in Putney are adept at handling all kinds of garden waste. From normal tree trimmings to garden shed clearance, we cater for all your needs. Now you can indulge your green thumb without having to worry about the aftercare. We will take care of your property like our own and will be extremely careful around your flower beds. Whether you own a big or a small garden in SW15, just give us a call and we will help you get rid of all green and other waste. For once, aren’t you glad you don’t have to worry about taking care of the builders waste? Our builders waste removal team in SW18 is ready to help you out with your bulky waste left over after construction or renovation work. They are a highly experienced team that has worked for many property owners in SW15 and everyone has been highly satisfied with the kind of construction clearance job they have done. We are available to work at your convenience, and we make sure that we finish your job in the shortest time possible. So call our house clearance Putney experts today to book an appointment. House Clearance Done Professionally in Putney, SW15! Are you looking for someone to help you take care of your waste in Putney? 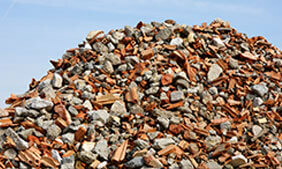 Whether it is regular domestic waste or builders waste, our house clearance team can take care of everything. All you need to do is give us a call, let our representatives know what you need to get done and our people will be at your address whenever you want them to. Our team knows the importance of your time and will work fast and efficiently to make sure your waste is cleared out and your premises look tidy. Contact us anytime to speak with our representatives. Friendly service. I was determined to use a local company. I also am quite attentive to a business carrying the correct certificates and licencing. When the removal men from House Clearance Putney arrived, they had no issue showing their paper work, which impressed me greatly. They had no trouble finding the place. The office staff was also lovely and quite helpful. All in all, a pleasant experience. My rubbish was removed quickly and without complaint. Will use again. I never fancied taking care of my flat clearance project by myself. It was a massive undertaking. I just didn't have the time and wasn't willing to put in the effort. I called up a number of companies. House Clearance Putney ticked all the boxes for me. I went with them and couldn't have been more delighted. They really came up trumps for me. They impressed throughout. It was a top service. I'll definitely be using them again. Putney Office Clearance have a really fab team who work super hard for their customers, and do a super job of rubbish removal at a great price. 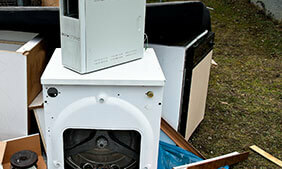 Putney Office Clearance is the only company that I hire for waste collection. I've been using their cost-effective services for years and I must say they always deliver flawless services! I doubt you can find a better company! 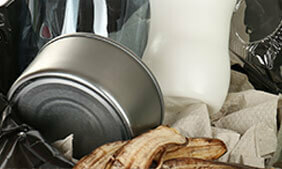 If you have a messy or junk-filled flat then Putney Builders Waste Disposal have the answer. Their low prices and excellent teams made quick work of my flat clearance and left the place looking amazing. The rubbish was disposed of quickly and I really appreciate the efforts the company spent. 10/10 for service! If you need professional house clearance help rely on our company in Putney to give you amazing offers! Company name: House Clearance PutneyLtd. 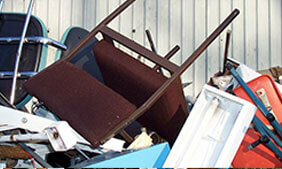 Description: Call 020 3409 2377 and get a free consultation on our superior house clearance services in Putney, SW15! We are looking forward to hearing from you! © Copyright 2015-2016 House Clearance Putney Ltd. All Rights Reserved.